Spring Tea Harvest time is almost here. It’s time for those tea plants (Camellia Sinensis) to awaken and begin their new season of growth (their “first flush”). Since most tea is grown at higher elevations in mountainous terrain, their growing season (when the dormant plants get active again) tends to start a bit later, since the temperatures stay cooler longer, than at lower elevations. They can also have very different rain patterns that can impact the start of growth. Too much can harm tender tea harvests while too little can stunt growth. The Chinese New Year’s Day (this year it is February 19th) based on the lunar calendar they follow. 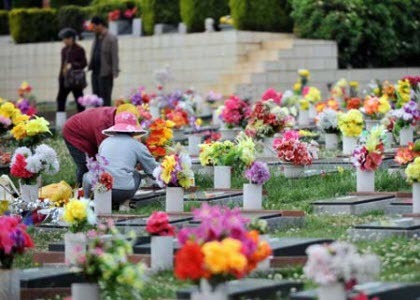 The best Spring teas are picked before the Qing Ming Festival. Tea leaves picked between these dates have unique characteristics. The big word again is “rain.” Harvesting leaves that have grown before the Spring rains set in (a time called “ming qian” or “pre-ming””) is preferred due to the idea that their flavor will be relatively undiluted. (After the rains, the leaves will have soaked up a lot of water, thus diluting the flavor.) 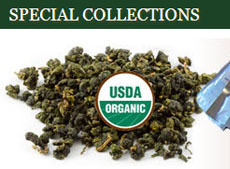 So this is when the highest-quality green teas are harvested. Only the bud and two leaves below it are pinched gently off the stems. They are prized for flavors and aromas that connoisseurs often describe as reminiscent of shoots and chestnuts. A special Spring tea is 2010 Spring Handmade Premium Bi Luo Chun Green Tea, harvested pre-qingming (before April 5th) and consisting of one bud with one or two leaves in a tight, spiral shape. This tea has an beautiful, high floral aroma, fruity initial taste and wonderful sweet aftertaste that lingers and lingers. Happily, a period of drought in the Darjeeling area of India ended in mid-February with a rainfall averaging about an inch — well-appreciated by those thirsty plants, by the people who depend on them for their living, and by us who look forward to those “first flush” teas! And these teas have begun arriving on the market. 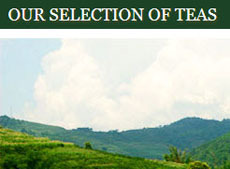 Each Darjeeling tea garden owner vehemently declares that they produce a uniquely flavored first flush Darjeeling tea. They are at different altitudes and therefore have different climate and soil. Jungpana, the oldest of the tea gardens, is also one with a high reputation for the quality of its first flush tea; and considering that the tea has to be literally hand toted down the mountainside on the backs of garden workers to reach the road where it is loaded to take to market, it is quite a treat. 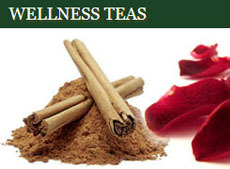 Try a Spring tea and see what all the excitement is about. 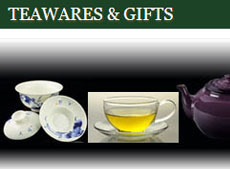 This entry was posted in Darjeeling Teas and tagged chinese tea, Darjeeling tea, JAS-eTea, qing ming, spring tea. Bookmark the permalink.